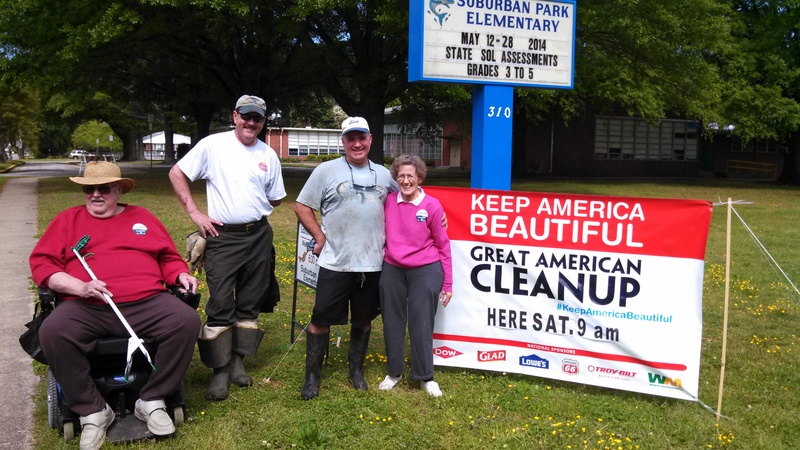 Thanks to all of our volunteers for helping with the annual Great American Cleanup, held last Saturday May 3rd on Keep Norfolk Beautiful Day! Isn’t Suburban Acres a beautiful neighborhood? Would you care to lend a hand as we make an effort to enhance her beauty? We’ll be tidying up the two Thole Street medians in front of Tinee Giant and Suburban Park Elementary — and we’d love your help! This is our first Adopt-a-Spot event for the 2011-2012 cycle. Let’s not let the EARNN points get away from us! Click the banner to find out about River Star Homes, a program from the Elizabeth River Project. We’ll also learn a bit about this at the 13 June SACL meeting. 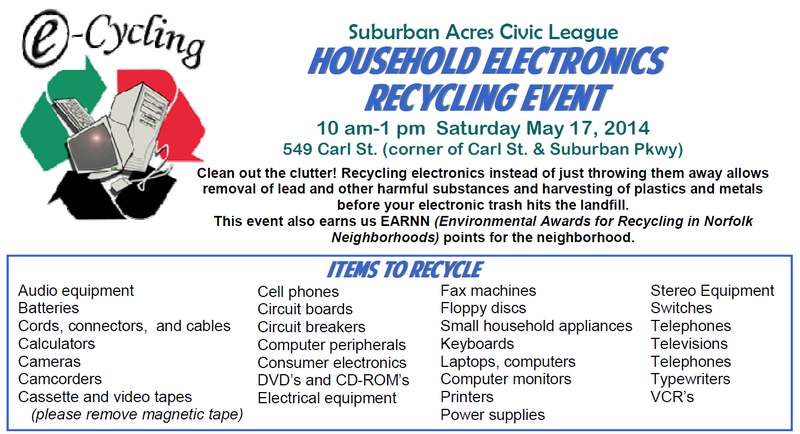 Saturday May 21st provides an opportunity for neighbors to be environmentally minded. Come out and help keep our beloved Suburban Acres tidy. Earth will love you back! Neighbors will meet from 9am – 11am on Suburban Parkway @ Kenmore. Details are in the May newsletter, which is posted here on the site. Remember…this also supports our EARNN points accumulation! SACL neighbors are pulling together this weekend to beautify our neighborhood entrance. Come lend a hand! If able, please bring your own gloves.